Their achievement, detailed in a paper in this week’s early online issue of The Proceedings of the National Academy of Sciences, opens the door for making these and other “designer” proteins in larger quantities and much more cheaply than can now be made from mammalian cells. 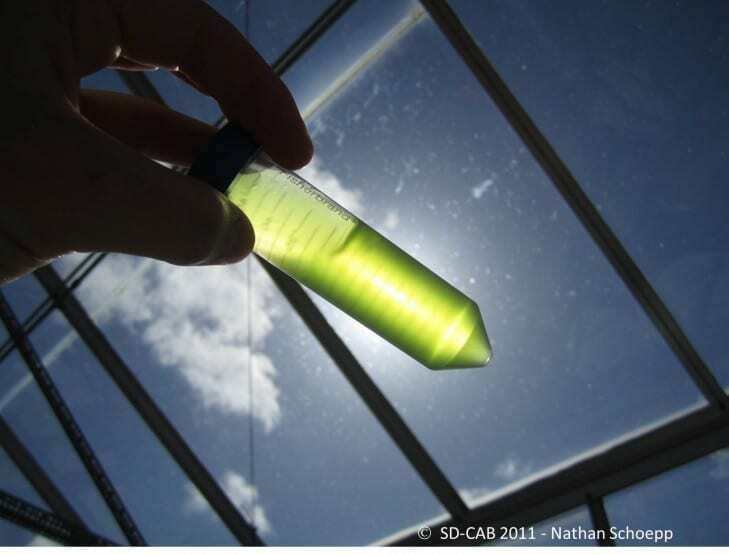 “Because we can make the exact same drug in algae, we have the opportunity to drive down the price down dramatically,” said Stephen Mayfield, a professor of biology at UC San Diego and director of the San Diego Center for Algae Biotechnology or SD-CAB, a consortium of research institutions that is also working to develop new biofuels from algae. Their method could even be used to make novel complex designer drugs that can’t be produced in any other systems–drugs that could be used to treat cancer or other human diseases in new ways. The advance is the culmination of seven years of work in Mayfield’s laboratory to demonstrate that Chlamydomonas reinhardtii, a green alga used widely in biology laboratories as a genetic model organism can produce a wide range of human therapeutic proteins in greater quantity and more cheaply than bacteria or mammalian cells. Then in May of this year, Mayfield’s group working with another team headed by Joseph Vinetz from UC San Diego’s School of Medicine, engineered algae to produce an even more complex protein—a new kind of vaccine that, preliminary experiments suggest, could protect billions of people from malaria, one of the world’s most prevalent and debilitating diseases.